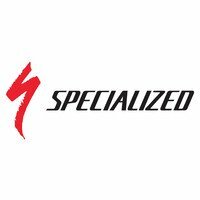 Specialized have designed a longer set of mudguards that will keep you drier as shown on this video. The Specialized Dry-Tech Fender Set comes in three widths to correspond with your tyres' - 35, 45 and 52mm. The DRY-TECH fender set is an engineered fender set with extended research-based length for superior water protection. The fenders are made of a lightweight yet highly durable multi-material design. It's also been engineered in our very own Win Tunnel in order to improve protection and to minimize water spray. The fenders are available in three different sizes (35, 45 and 52mm) and they're designed to work on bikes with 700C wheels with or without Specialized Plug + Play frame mounting. Lastly for that perfect finishing touch the fenders include heat-treated lightweight aluminium fender stays with stainless steel hardware.